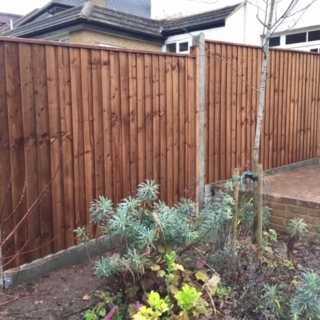 A fence is more than just an attractive border to your garden: it needs to be strong and sturdy enough to withstand high winds and heavy rain, and made of high-quality, treated wood to ensure it remains in great condition for years to come. 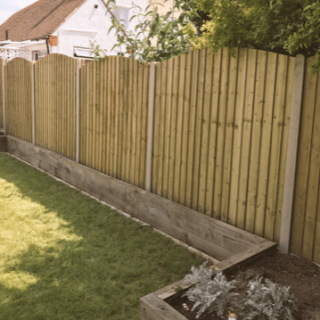 Your garden fence is integral to keeping your outdoor space private and secure, so it’s important to invest in a design that is perfectly suited to your garden’s needs. 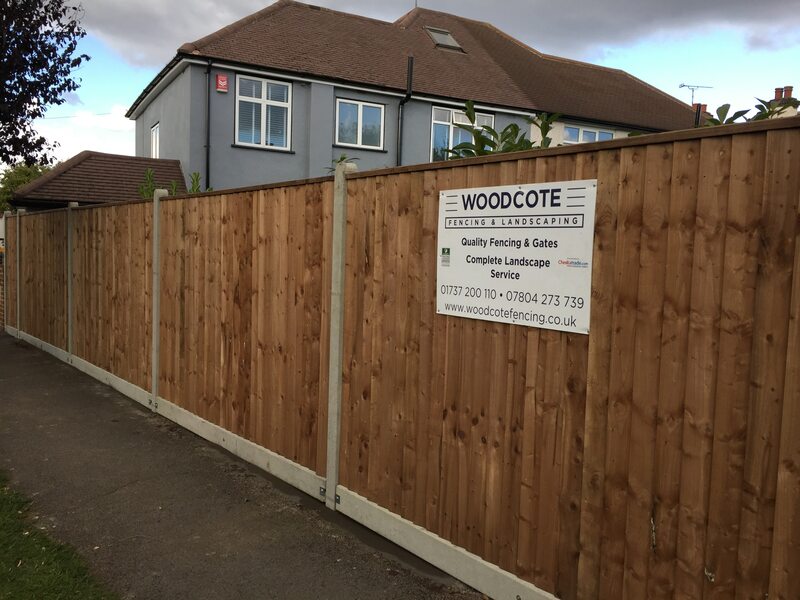 Here at Woodcote Fencing & Landscaping, our bespoke fences are made with ethically sourced, high-quality timber that is robust and durable. 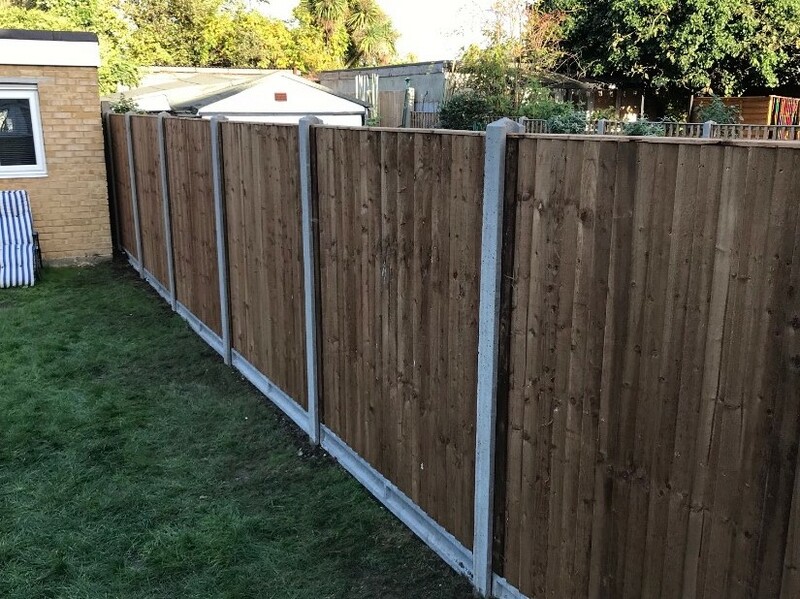 Whether you’re looking for a simple structure to neatly frame your lawn, or tall, solid panels for added privacy and security, our team can provide a fencing design for your needs. 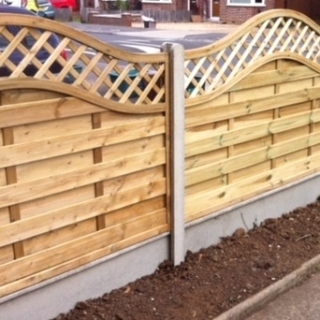 We can implement lap-panel, close-board, picket and trellis fencing, as well as garden gates. 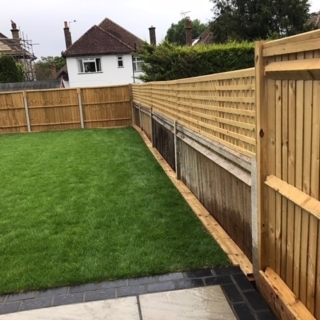 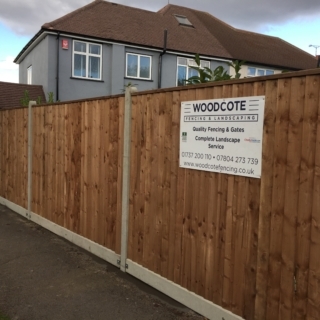 All of our designs are protected with high-quality wood treatments and we also offer honest, reliable and affordable maintenance and repair services to keep your fence in perfect shape. 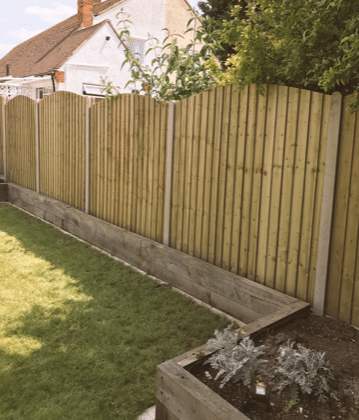 The most common type of garden fence is the lap-panel fence, largely due to the fact that it is quick, easy and affordable to install. 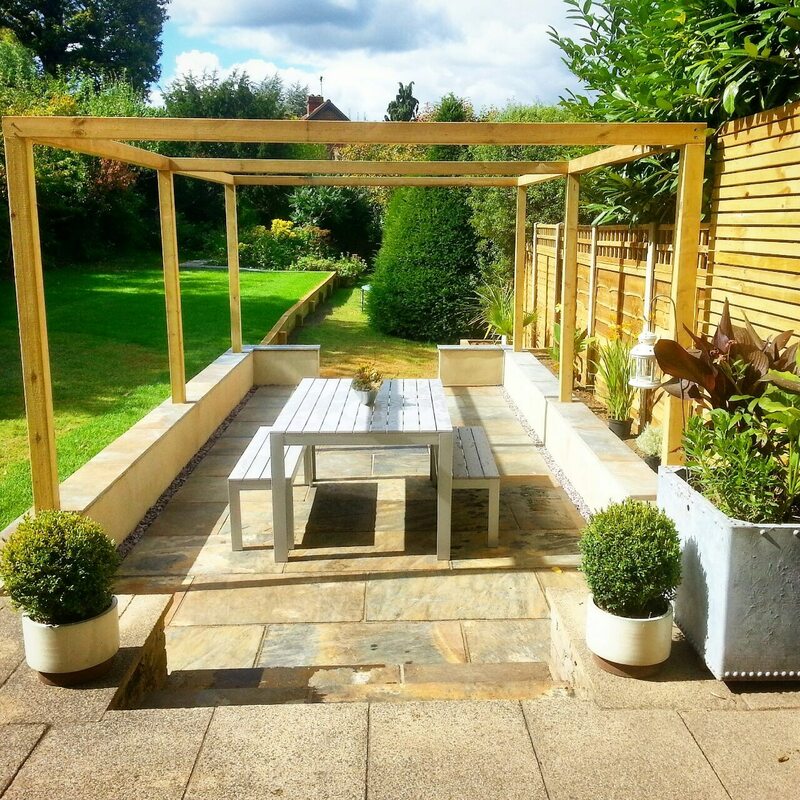 The structure consists of several overlapping horizontal boards within a frame. 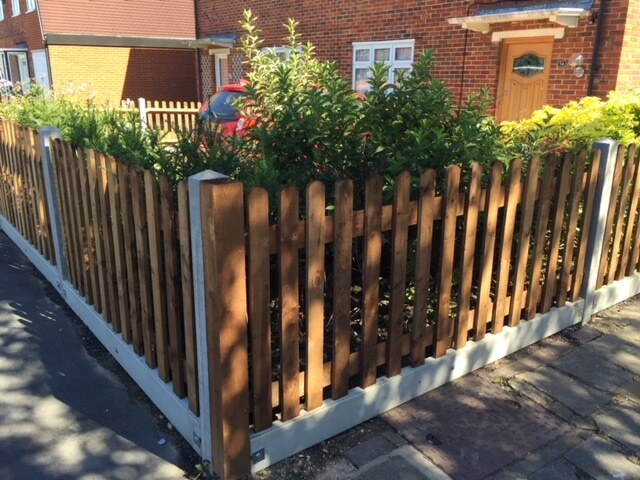 The lap-panel fence is tall and solid – great for homeowners who want to make their gardens more private. 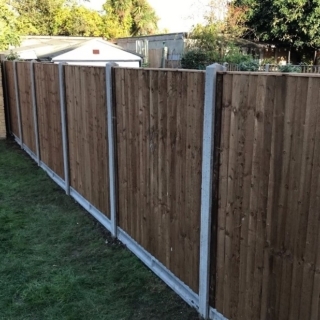 Another popular option is the close-board fence (or feather-edge fence). The design is simple, neat and attractive, and its tall structure is ideal for increasing a garden’s privacy. 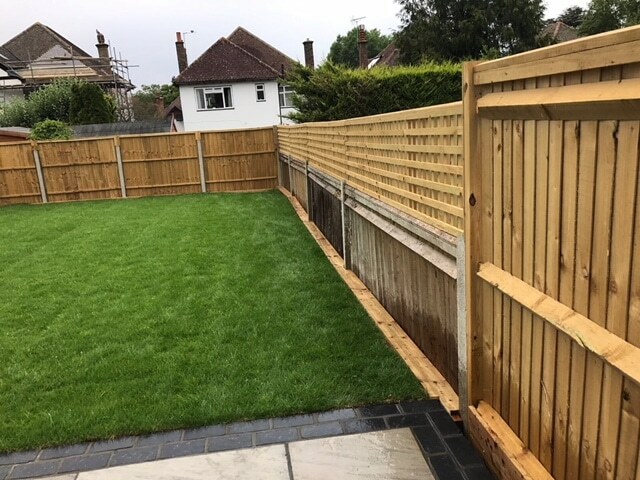 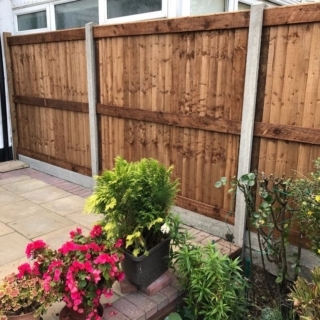 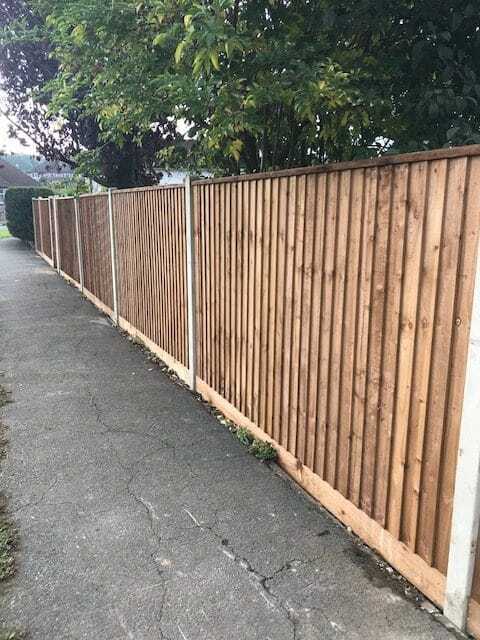 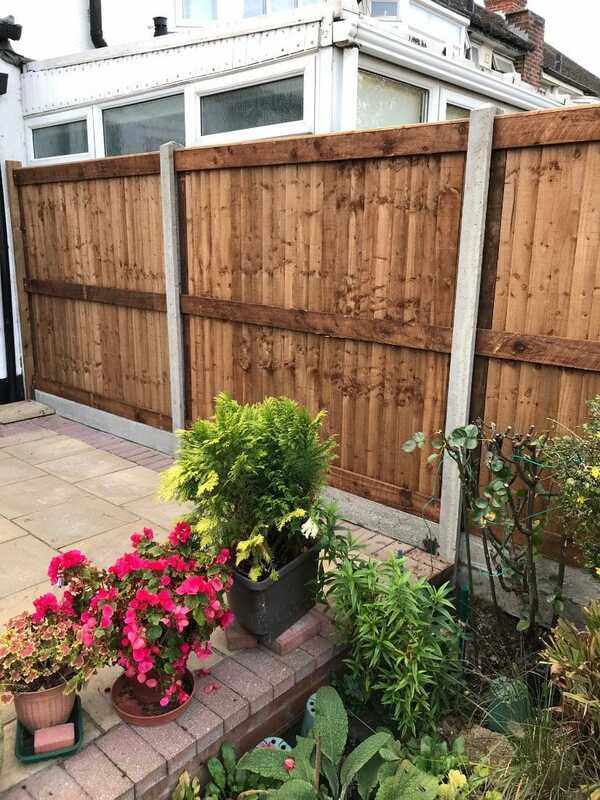 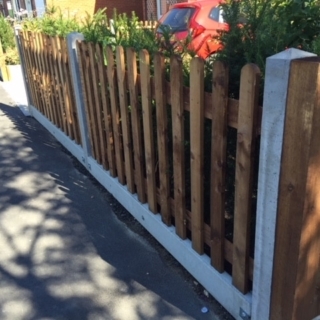 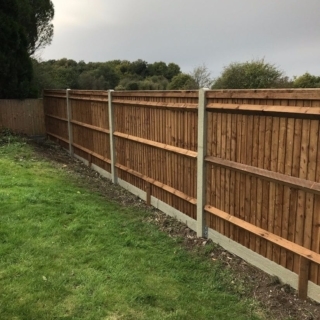 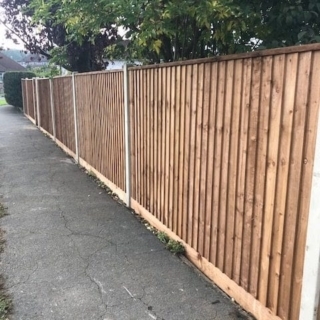 The way this type of fence is constructed makes it particularly strong: a series of vertical, overlapping, feather-edge boards are secured by rear horizontal wooden rails, which are also fixed to supporting posts (made from either timber or concrete). 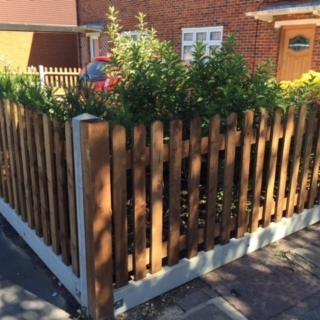 A picket fence is a great option for gardens where privacy is not an issue, and you simply need to enclose some land. 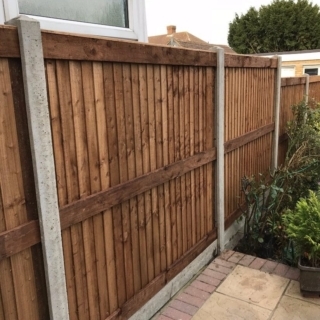 It is made up of evenly-spaced vertical posts (or pickets), which are connected by two or more horizontal wooden bars. 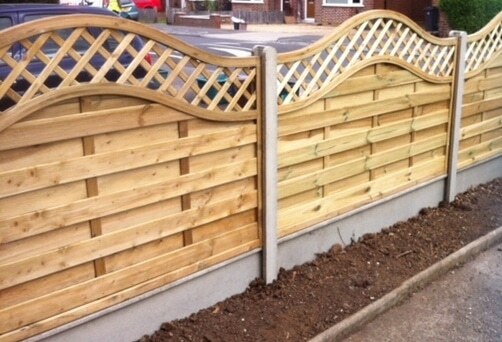 A picket fence is great for a front garden, or for bordering off part of the back garden – e.g. 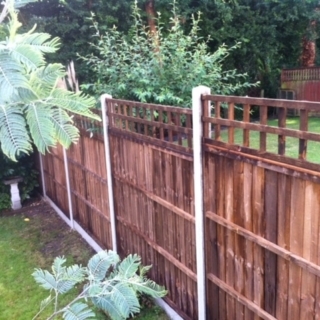 the vegetable patch or the shed. 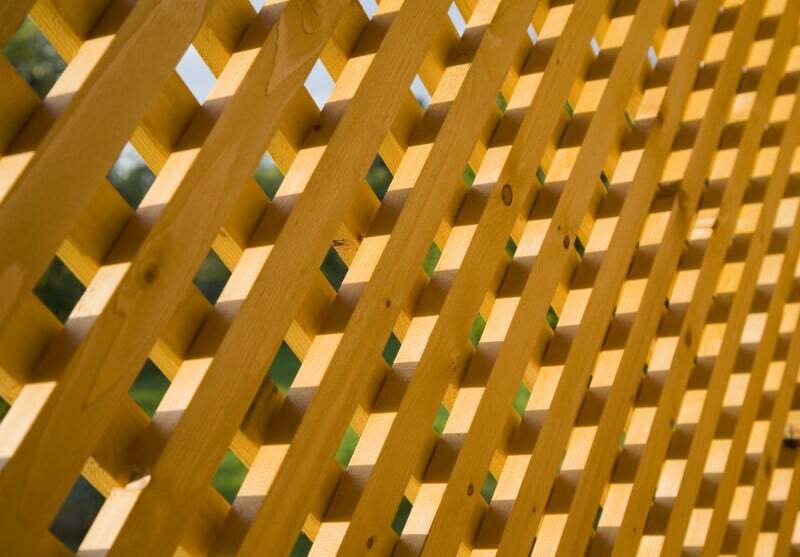 Trellis panels come in square, lattice and diamond styles, and it’s up to you how tight-knit the pattern is. 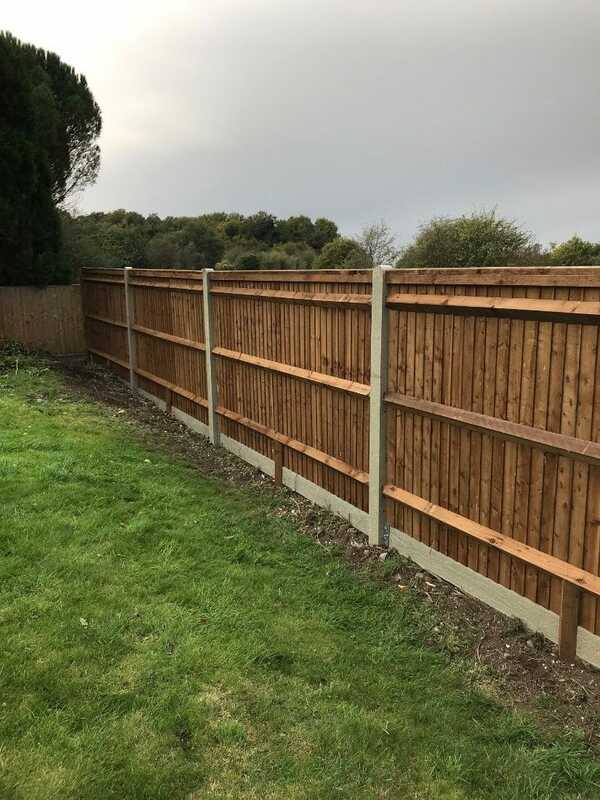 They have a variety of uses: from bordering your garden and partitioning the garden into sections to providing a sturdy support against which plants and flowers can grow. 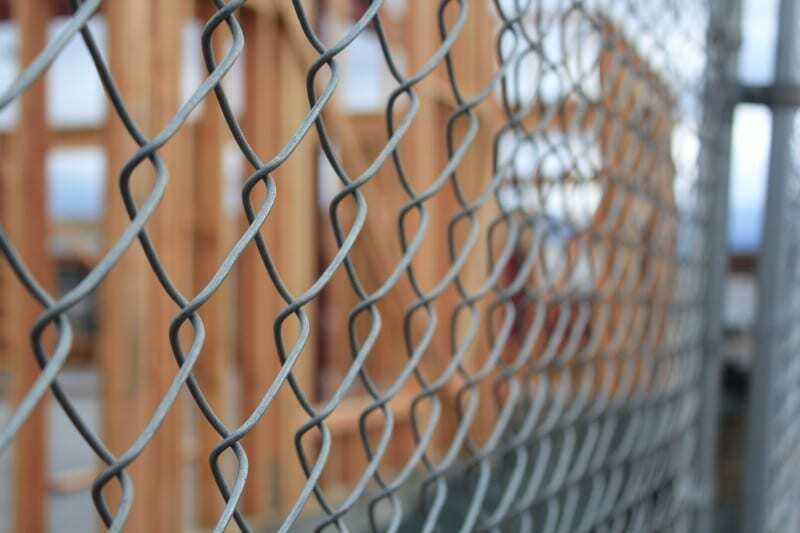 Chain-link fencing is formed of strong, rust-resistant steel wire that is interwoven into a diamond pattern. 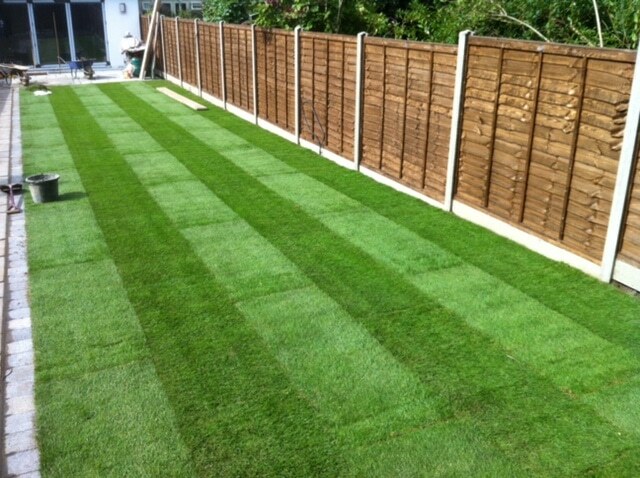 It is perfect for homeowners who keep pets in the garden, as it creates a highly secure enclosure. 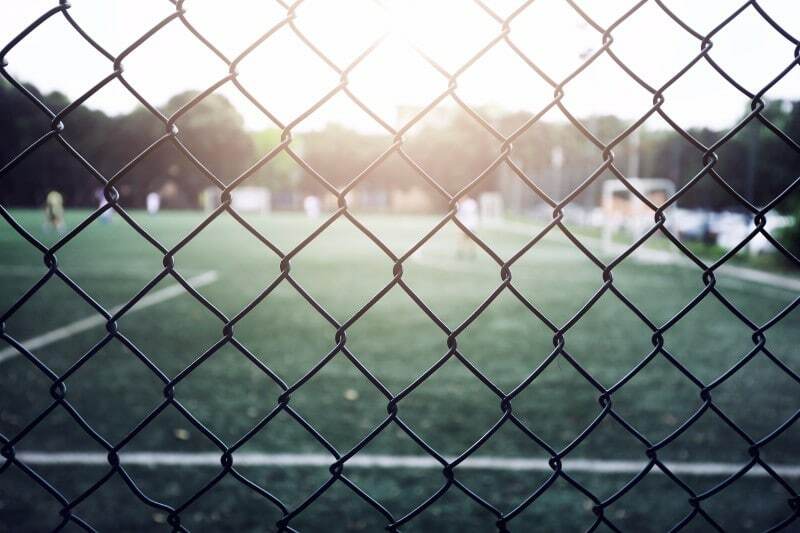 Twin-wire and V-mesh fences are perfect for schools and sports grounds where added security is needed. 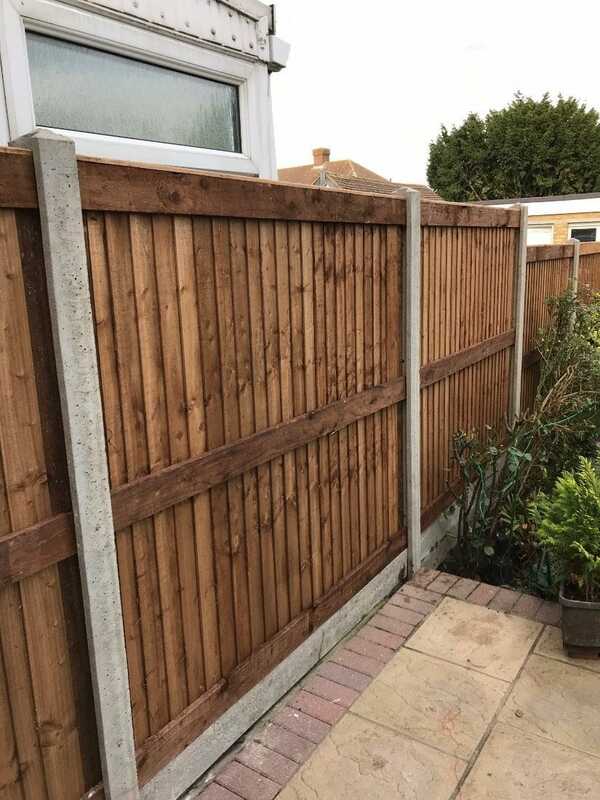 Both styles are made from steel and consist of tall mesh panels and vertical posts, and the difference is that the V-mesh fence features a ‘V’ shape in the design. 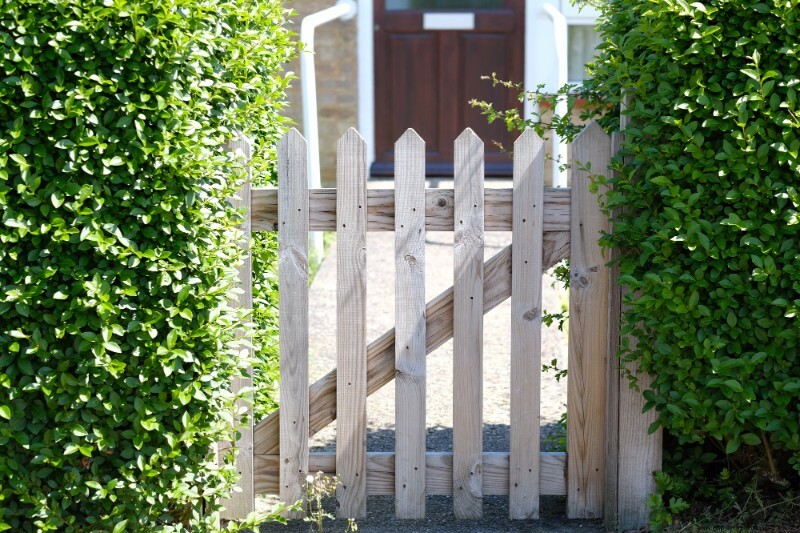 We can fit, repair and replace all types of gates – from remote-controlled metal swing gates to small, rustic, wooden options. 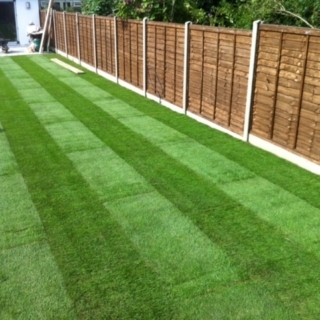 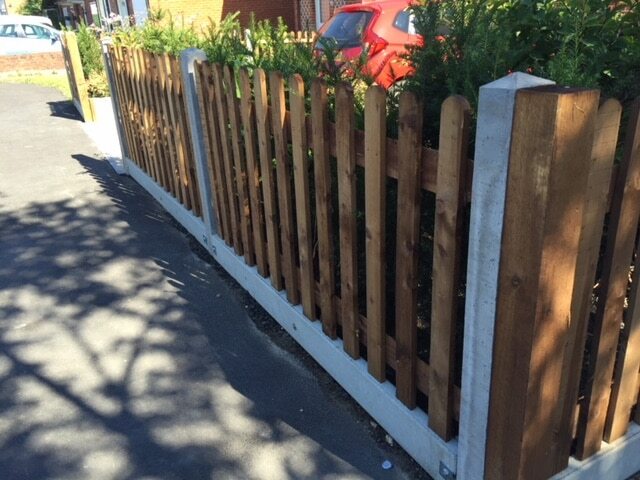 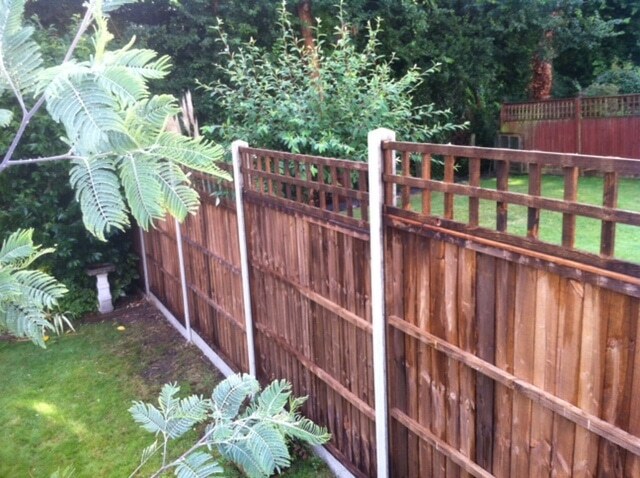 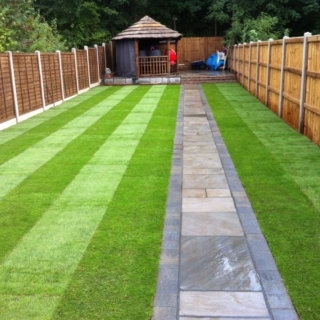 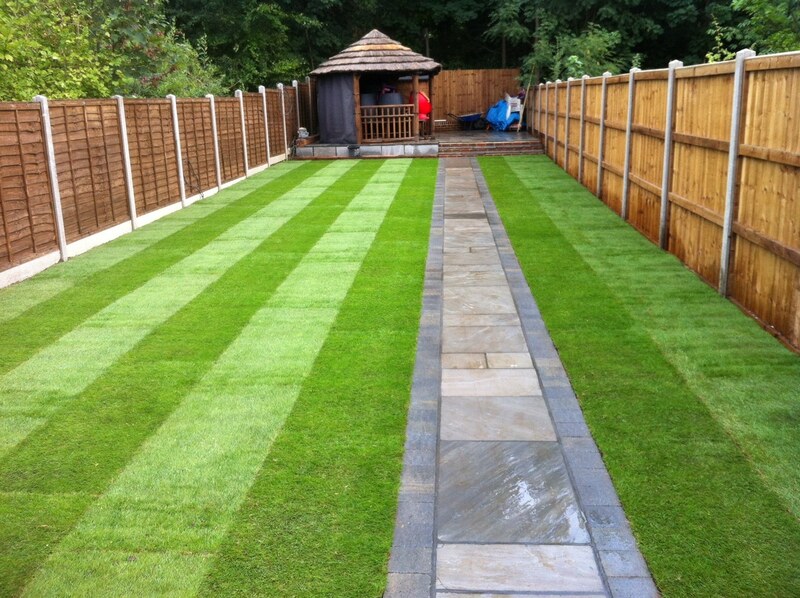 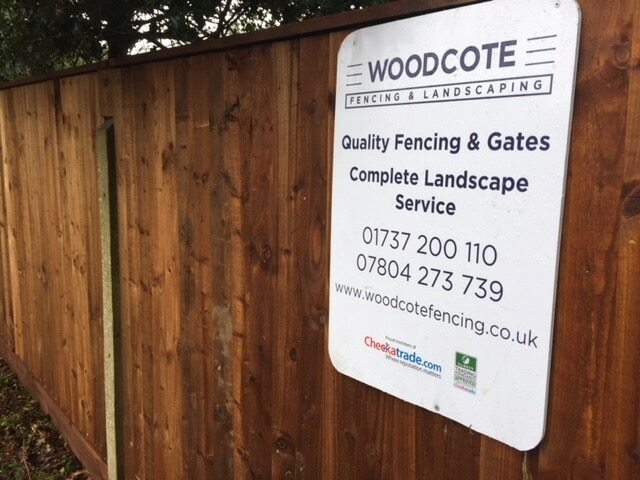 If you’re looking for a new fence or gate, contact us at Woodcote Fencing & Landscaping today. 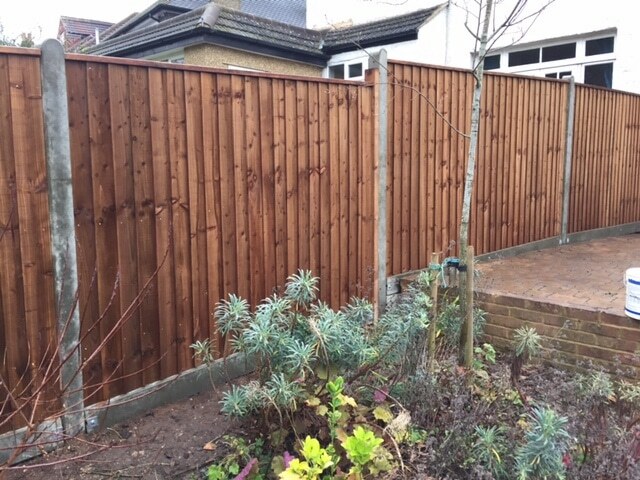 We’ll work with you to create a strong, easy-to-maintain and long-lasting fence.